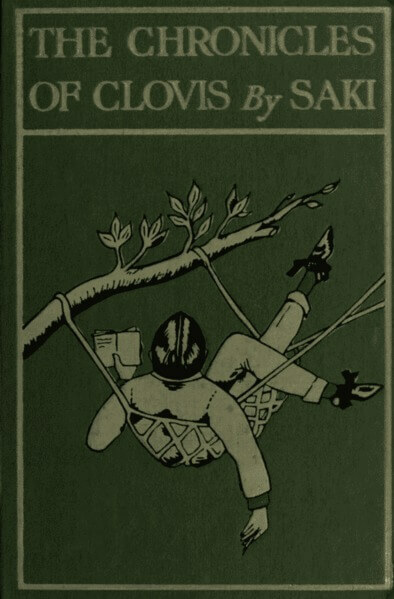 The Chronicles of Clovis is SAKI's third collection of short stories, published in 1911. Clovis Sangrail is a disenchanted, upper class youth with a mean streak, who delights in tormenting this elders. The stories are presented as a book as a convenience to the reader; you may also enjoy the numerous short stories we feature with Reginald, a young man with a similarly snarky disposition, and not shy about articulating it! We feature SAKI's stories in The Unreliable Narrator. Return to the H.H. Munro (SAKI) library.